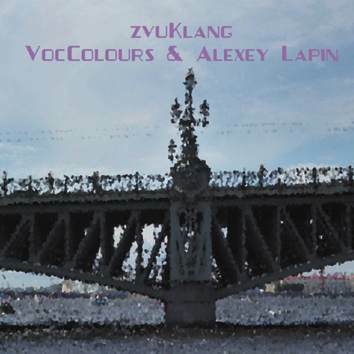 ZvuKlang is a recording made by a German vocal quartet (VocColours) and a Russian pianist Alexey Lapin. In case you are wondering what this zvuKlang means, "zvuk" means "sound" in several Slavic languages, and "klung" means just about the same in German. If you think that the recording is a poor man's imitation of Phil Minton meets Cecil Taylor or something like that, you are mistaken. The genre is not new but whatever the influences they underwent a total meltdown and the results turned out to be completely original.